There are multiple strategies for amortizing the upfront fees for Reserved Instance purchases and CloudCheckr offers several alternatives. Standard amortization involves taking the upfront cost and dividing equally for each month of the RI. This amortized value is allocated to the account that purchased the RIs. You can also take advantage of Proportional Payee Amortization, which adds an hourly amortized upfront fee to any EC2 instance that used the RI. 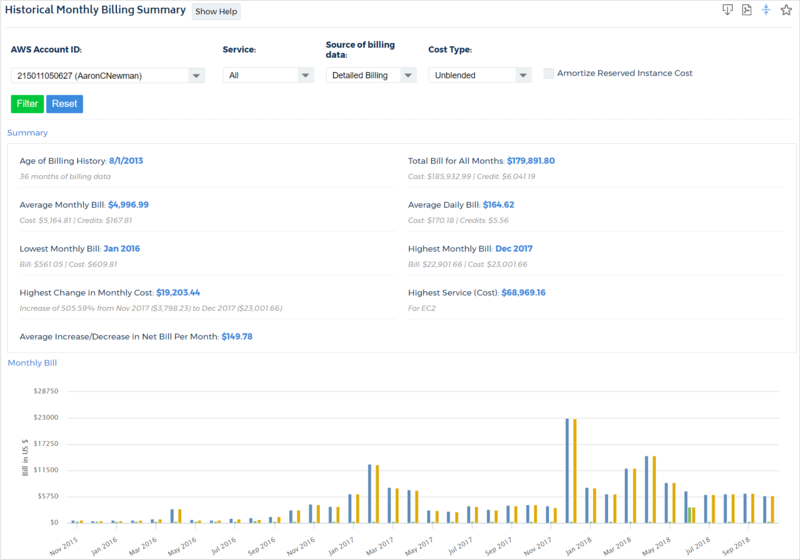 You can monitor Amortization in the following reports: Historical Monthly Billing Summary (Cost > AWS Billing > Summary Reports > Historical).